During its recent spring media event, Walt Disney World leaders shared details on hundreds of millions of dollars in new rides and shows that the resort will be debuting over the next two years. From Star Wars to Avatar, the House of Mouse is betting big on new attractions in Central Florida. At Tren-D, retro fashion meets stylish Disney. At the same time, event attendees had the opportunity to tour a variety of smaller but extremely interesting new additions to Disney World. 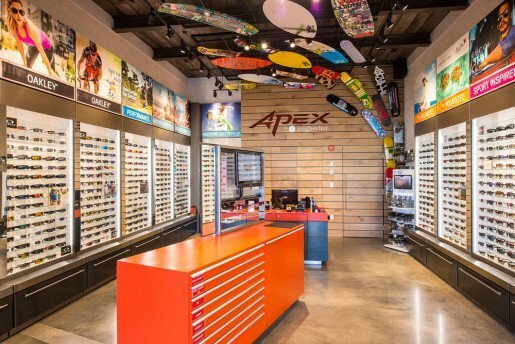 One that caught this writer’s attention was Disney’s foray into a true marketplace retail design at the repurposed Downtown Disney (now known as Disney Springs). In this installment of The Large Park Report, we take a closer look at how merchandise display and store design were used to bring a unique new retail option to the world’s largest theme park resort. Disney continues a massive transformation of the former Downtown Disney into a revamped and expanded Disney Springs with new restaurants and shops serving as the primary focus. While high profile restaurateurs like Masaharu Morimoto and high-end retailers like kate spade new york garner much of the attention, the Marketplace Co-Op continues to generate exciting buzz among Disney shoppers. 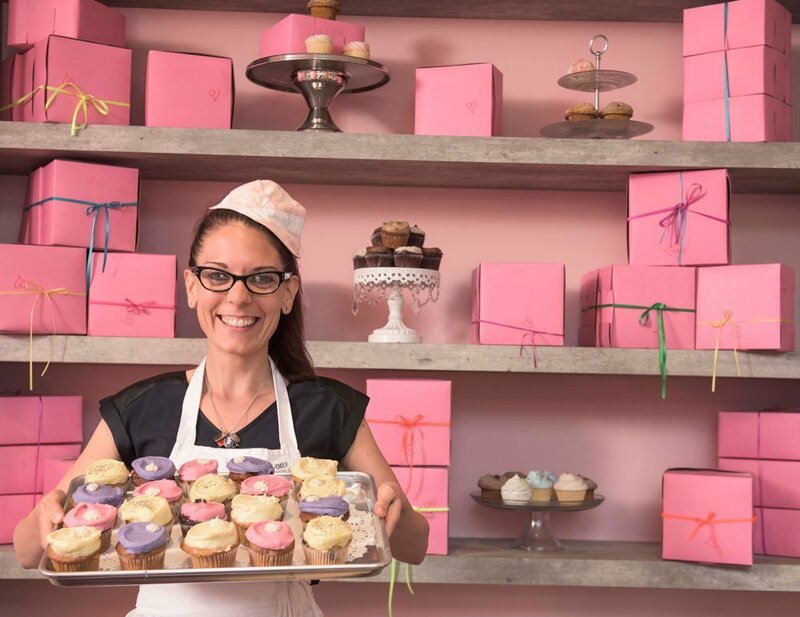 The Erin McKenna Bakery NYC is one of the newest retail locations at Disney Springs. Originally opened in June 2014, the Co-Op space is located in the Marketplace area of Disney Springs. The Marketplace itself dates back to 1975 when it was one of the first new areas in Disney World to open after the Magic Kingdom resort area. Filled with low-slung buildings stationed around meandering pedestrian walkways, the Marketplace stores have been selling Disney World merchandise for almost as long as the resort has been open. The Disney Springs project has done little to change this area, with most of the attention focused on the new Town Center area as well as the completely repurposed Pleasure Island area. The Co-Op is an exception though as it replaced the former Team Disney shopping space during the renovation. And, in many ways, the retail space harkens back to the original 1970s marketplace with an emphasis on micro-shops with an artisan bent. 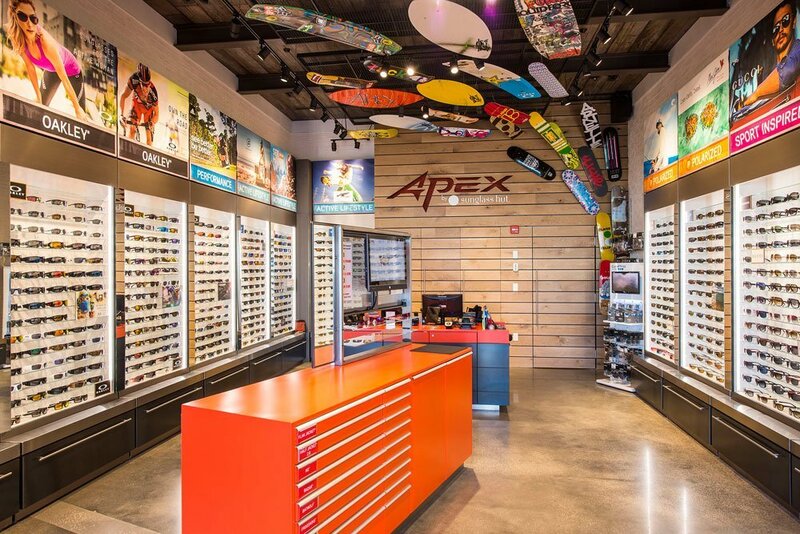 The Apex by Sunglass Hut at Disney Springs. Of course, all of the shops are owned and carefully planned by Disney’s massive retailing machine. Even so, just one step into the Co-Op makes it clear that this is not simply a marketing ploy but rather a differently designed retail space than the typical options at Disney. For instance, the former Team Disney store has been carved up into a variety of micro-shops that sell wares completely independent to the other micro-stores in the space. In other words, this is not just a large retail shop with different merchandise sections. Instead, it is an eclectic offering of niche products that happen to share a front door, back door, and roof. Beyond that, the spaces are distinct and clearly defined. While several boutiques have come and gone from the Co-Op, the sense is that this is intentional because it allows Disney to test drive retail concepts on a micro-scale to see which ones warrant growing into their own larger shop or expanding into one of their signature, destination retail spaces like the World of Disney shop. This is an important lesson worth noting. In particular, investing in a micro-space requires much less capital and overall room but can also provide insights into whether the shop’s themed merchandise will sell with the public. The newest boutique at the Co-Op is Disney TAG (Travel-Accessories-Gear). This shop uses strategic lighting and realistic design to recreate an environment where the shopper feels like they are checking into a retro-flight area (think Eastern Airlines circa 1970s and forward). Entering under a faux jet wing, guests have the sense of entering a themed destination rather than a decorated store. The micro-nature of the shop helps with this perspective since many airport boarding areas also have smaller, clearly delineated spaces. The Havaianas at Disney Springs store. Once inside, the only merchandise available is travel-themed which continues the trend of making the Co-Op micro spaces unique rather than generic. Though a small footprint, the shop’s décor is immersive and includes engaging details like a Departures and Arrivals board (to fictional but fun Disney inspired destinations) as well as a photo op with Disney airline seats. One of the most important lessons learned from the Co-Op space is that, as opposed to opening a conventionally-sized merchandise shop, micro-sized retail spaces can be a less expensive way to test whether a new retail concept is likely to gain traction with the buying guests. At the same time, the theme and merchandise type of a micro-store is extremely important. Simply filling a small shop with a variety of unrelated general merchandise is unlikely to provide many insights into whether a specific souvenir type could be a break-out hit. Instead, the best strategy is to follow the Marketplace Co-Op model and commit to micro-shops with commonly-themed merchandise in a commonly-themed shopping environment.